Besides making available different varieties of finished leather we are also offering a comprehensive range of leather shoe upper. Durable in quality and trendy in look these leather shoe uppers are manufactured keeping in mind the comfort level of the customers. Mehar Leather Exports Pvt. Ltd.
Material : Buff Split Leather Barton Printed. NDB DERBY WITH GOOD QUALITY PRINTED BARTAN LEATHER UPPERWITH COMFORTABLE CUSHIONED LINING AND STEEL TOE WITH GOODQUALITY PVC SOLE. We are instrumental in Manufacturing and Supplying a quality range of Shoe Leather Uppers in the country. 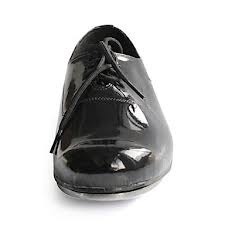 The Shoe Leather Uppers provided by us are widely demanded by the clients, owing to there fine finish and durability. 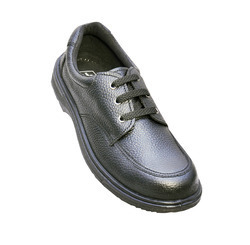 These Shoe Leather Uppers are manufactured from premium leather, which is sourced from reliable vendors. We are offering Full Grain Textured Leather Upper Shoes to our clients.